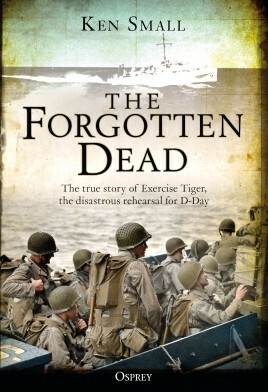 This fiasco, in which nearly 1,000 soldiers died, was buried by officials until it was almost forgotten. That is, until Ken Small discovered the story, and decided to dedicate the rest of his life to honouring the brave young men who perished in the disastrous exercise. Pulling a Sherman tank from the seabed, Ken created a memorial to those who died and started to share their story, and his, with the world. This updated edition of a bestselling classic is a gripping tale of wartime disaster and rescue in the words of the soldiers who were there, and of one man's curiosity that turned into a fight to ensure that they would never be forgotten. The US Airborne force fielded some of the toughest, best-trained and most resourceful troops of World War II - all necessary qualities in a force that was lightly armed and which would in most operational circumstances be surrounded from the moment it landed on the battlefield. The German Wehrmacht grew to rely on a series of defensive measures to combat the airborne threat, including fortifications, localized reserves, and special training to help intercept and disrupt airborne troops both in the air and on the ground. Despite such methods it was cool-headed command and control that would prove to be the real key to blunting the Airborne's edge. 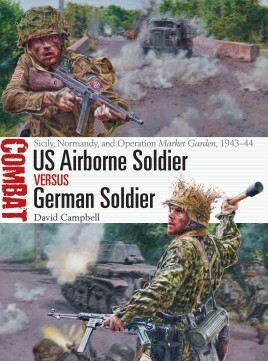 Using specially commissioned artwork, this book examines the development of the American airborne forces that spearheaded the Allied effort in Sicily, Normandy and Operation Market Garden, and the German countermeasures that evolved in response to the threat of Allied airborne landings. Four pipes and flush decks - these ships were a distinctively American destroyer design. Devised immediately prior to and during the United States' involvement in World War I they dominated the US Navy's destroyer forces all the way through to World War II. They were deployed on North Atlantic and Norwegian Sea convoys, and virtually everywhere in the Pacific, from Alaska to Australia. Fifty were given to Great Britain in its hour of need in 1940, and many would serve in other navies, fighting under the Soviet, Canadian, Norwegian, and even the Imperial Japanese flags. They also served in a variety of roles becoming seaplane tenders, high-speed transports, minesweepers and minelayers. One was even used as a self-propelled mine during Operation Chariot, destroying the dry dock at St. Nazaire. 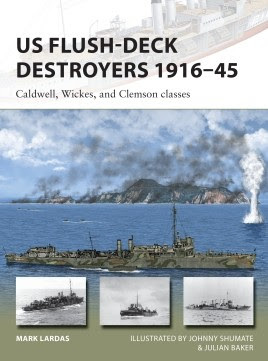 Fully illustrated throughout with commissioned artwork and contemporary photographs, this volume reveals the operational history of these US Navy ships that fought with distinction in both World Wars. Intended to replace the proliferation of different small arms fielded by US forces during the American Civil War, the "Trapdoor Springfield” was designed in 1865-66 by Erskine S. Allin. Using metallic cartridges, it could be loaded in a single action, increasing the number of shots per minute as much as fivefold. The new weapon quickly proved its worth in two separate incidents in August 1867: small groups of US soldiers and civilians armed with the trapdoor repulsed numerically superior Native American contingents. A simple and cost-effective weapon, it was used, along with its variants in every US conflict in the three decades after the Civil War, especially on the American frontier. 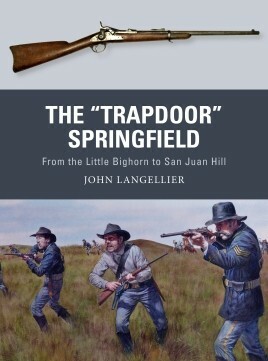 Drawing upon first-hand accounts from US soldiers, their Native American opponents, and users such as buffalo hunters, this is the story of the "Trapdoor Springfield”, one of the defining weapons of the Indian Wars. From the Mexican Revolution to the Zarumilla War, in the first 40 years of the 20th century the nations of Central and South America were frequently disturbed by border clashes, civil wars and revolution. Many of these conflicts became known as 'Banana Wars'. Some involved only lightly armed guerrillas, but others saw armies operating artillery and armoured vehicles, supported by aircraft and river navies. The conflicts in Honduras and Nicaragua saw the intervention of US Marines, and later wars involved armour and aircraft from the militaries of Europe. Using detailed colour plates and a wealth of contemporary photographs, this book shows the uniforms, equipment and strategies of the armies involved in these conflicts little known in the West. 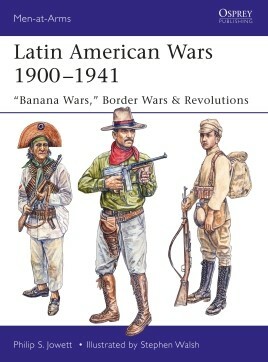 Covering wars crossing the length and breadth of the continent, this is the fascinating account of the wars that helped shape modern Latin America. With Their Bare Hands traces the fate of the US 79th Division - men drafted off the streets of Baltimore, Washington, and Philadelphia - from boot camp in Maryland through the final years of World War I, focusing on their most famous engagement: the attack on Montfaucon, the most heavily fortified part of the German Line, during the Meuse-Argonne Offensive in 1918. 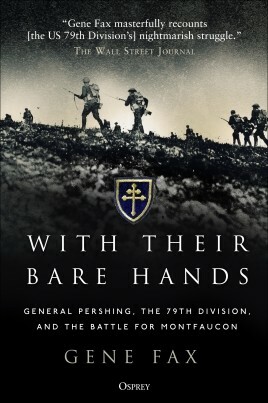 Using the 79th as a window into the American Army as a whole, Gene Fax examines its mistakes and triumphs, the tactics of its commander General John J. Pershing, and how the lessons it learned during the Great War helped it to fight World War II. Fax makes some startling judgments, on the role of future Army Chief-of-Staff, Colonel George C. Marshall; whether the Montfaucon battle - had it followed the plan - could have shortened the war; and if Pershing was justified in ordering his troops to attack right up to the moment of the Armistice. Drawing upon original documents, including orders, field messages, and the letters and memoirs of the soldiers themselves, Fax tells the engrossing story of the 79th Division's bloody involvement in the final months of World War I. 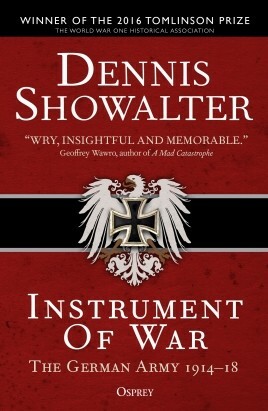 Drawing on more than a half-century of research and teaching, Dennis Showalter presents a fresh perspective on the German Army during World War I. Showalter surveys an army at the heart of a national identity, driven by - yet also defeated by - warfare in the modern age, which struggled to capitalize on its victories and ultimately forgot the lessons of its defeat. 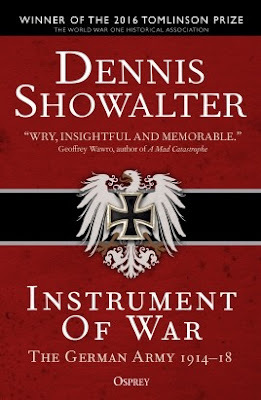 Exploring the internal dynamics of the German Army and detailing how the soldiers coped with the many new forms of warfare, Showalter shows how the army's institutions responded to, and how Germany itself was changed by war. Detailing the major campaigns on the Western and Eastern fronts and the forgotten war fought in the Middle East and Africa, this comprehensive volume, now publishing in paperback, examines the army's operational strategy, the complexities of campaigns of movement versus static trench warfare, and the effects of changes in warfare. This new, expanded supplement for Frostgrave contains a host of new adventures, treasures, and creatures to challenge players. 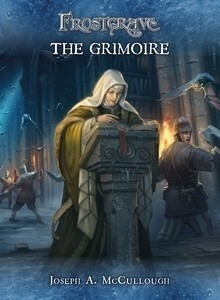 It also includes its own, unique campaign and experience system, as well as information about several of the mythical lost schools of magic. 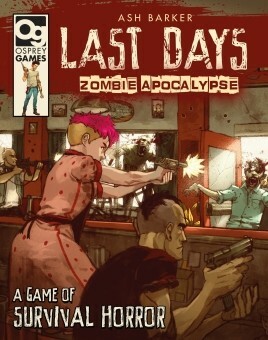 Last Days: Zombie Apocalypse is a skirmish-scale miniatures game of survival horror. It pits players against each other in a nightmarish near-future where the dead have returned to life and are feasting on the living. Players build their own factions, representing desperate civilians, military personnel, or hardened survivors, and must explore, scavenge, and fight in order to survive another day. Rival gangs are only one of the dangers they face - mindless zombies wander the streets, driven by insatiable hunger and drawn by the sound of combat! A gang's ability to scavenge is as vital as their combat ability, and players must ensure that they have the resources to survive in this hostile world. Scenarios and campaigns allow you to develop your gang, gain experience and recruit new henchmen to build up your strength or replace the inevitable casualties of the zombie apocalypse. Kazran is a pursuer, a member of an ancient bounty-hunting order. Wielding the magics of the mythical Court of Crows, he has lived a life dedicated to bringing justice to the wronged, without fear or favour. But when circumstance forces him to accept commission from a notorious crime lord, Kazran becomes entangled in a web of deception and betrayal. 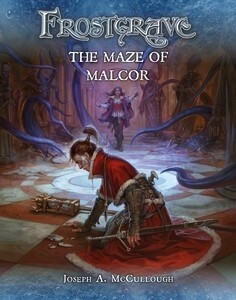 As he scours Frostgrave's ruins in search of a young woman and her stolen magical treasure, he finds more questions than answers. Who is she? What exactly did she steal? Why did she run? And just where does Kazran's mysterious benefactor stand on the matter? 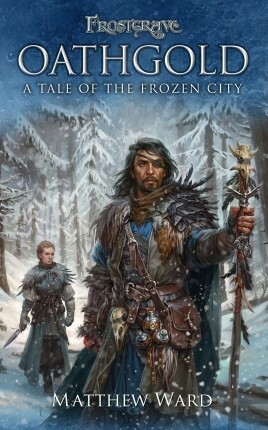 In the end, the greatest question remains - does justice have any place in the Frozen City? 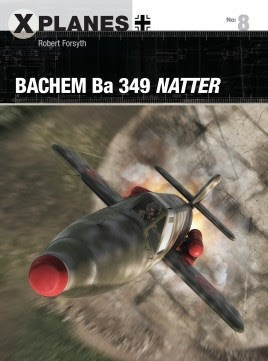 The Bachem Ba 349 Natter was a secretive, vertical take-off, single-seat rocket interceptor intended to offer high-speed defence of key targets. This radical aircraft offered Luftwaffe an inexpensive means with which to intercept and attack Allied heavy bombers using a vertically-launched, semi-expendable machine built of wood and armed with a nose-mounted ‘honeycomb' battery of spin-stabilised air-to-air rockets as well as cannon armament. Launched vertically at 36,000ft per minute, the pilot was expected to fly within range of the enemy bombers, fire his rockets at them, ram another bomber, eject and parachute to the ground. Illustrated with contemporary photographs and stunning commissioned artwork, this study examines this inventive yet ultimately unsuccessful attempt by the Luftwaffe to defend against the tide of Allied aircraft that was bombing German cities into the ground. 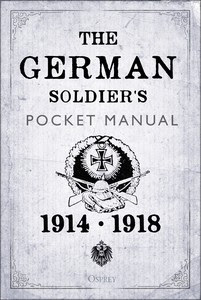 This is the first Pocket Manual to be dedicated to the German Army in the First World War, with chapters comprising of complete documents or extracts drawn from two major sources: the German Army of 1914 - 1918 itself, or the intelligence sections of other armies. It describes the new tactics and units developed by the German army during the war, including the myths surrounding Stormtrooper units. These new methods used were a result of interaction between the opposing forces and incremental in their appearance. Nevertheless the new ideas were hugely influential and important not only to the German army but to others as well, including British and American forces. Utilising a wide range of sources, including various pamphlets and manuals that were produced throughout World War I, this fascinating pocket manual gives a German perspective to World War I. A set of cards featuring all the spells from the Frostgrave books published to date (the rulebook, Thaw of the Lich Lord, Into the Breeding Pits, Forgotten Pacts, The Frostgrave Folio, and Maze of Malcor), providing the ultimate in-game reference guide for aspiring Wizards. The fate of a nation hangs in the balance. Israel cannot afford to lose a single battle. One defeat would mean the destruction of the tiny Jewish state. Not waiting to be attacked by the Arab forces massing on its borders, Israel strikes first. Hundreds of tanks sweep across the border and punch through the enemy defences, with infantry following up to clear the way for the advance to continue. After six days of brutal fighting, the war was over. A thousand tanks lay strewn across the desert. Tens of thousands of soldiers lay dead and wounded. Israel had survived, but the Arabs vowed that any peace would be short lived. 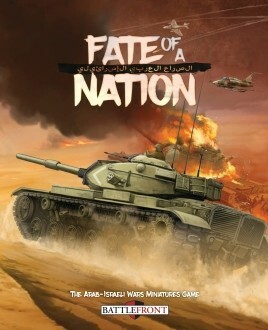 Fate of a Nation brings the Arab-Israeli Wars to the tabletop, allowing players to recreate the sweeping operations that helped to shape the Middle East. Take command of your forces and see how you fare in one of the Cold War's most volatile regions.